The Community Concert Hall at Fort Lewis College, in partnership with KSUT Public Radio, has announced the addition of Patty Griffin to its spring line-up. 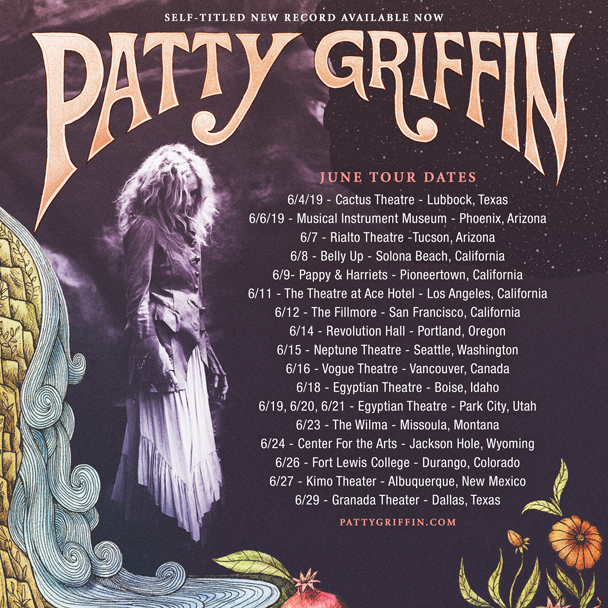 The show comes to the Community Concert Hall on Wednesday, June 26, 2019, 7:30 p.m.
Patty Griffin is considered among the most consequential singer-songwriters of her generation, a quintessentially American artist whose wide-ranging canon incisively explores the intimate moments and universal emotions that bind us together. In addition to her creative career, Griffin has also devoted considerable energy and focus toward the wellbeing of the planet, as well as showing compassion for the less fortunate among us via personal and public acts of charity including helping to create the Lampedusa tours supporting the Jesuit Refugee Service.